TAXI BOSS SHOT DEAD IN HIS CAR! THE family of a taxi boss and football club owner, who was gunned down in Tongaat, north of Durban on Monday, said his murder was associated with the taxi business. 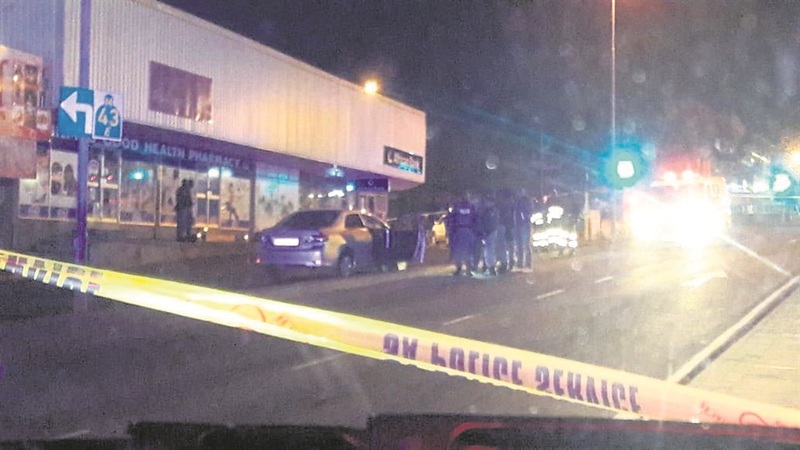 Nicholas Gumede (52) was shot dead in the Tongaat CBD, near Nando’s. He was the vice-chairman of the Tongaat Taxi Association and owner of Uthongathi FC. One of his sons told Daily Sun:“Our father’s killers are in the taxi business. “We were part of everything that was happening with the football club. A witness (47) said he suspected that the killers were people who knew Gumede’s daily routes. “We hold football club meetings every Monday at Nando’s. On that fateful day, we had finished our meeting when I got a call from a private number. I rushed to Gumede’s car,” said the witness. He said he was still walking to the car when he suddenly heard several gunshots. “Everything happened within the blink of an eye. “I was still puzzled about what was happening when I noticed the window on the driver’s side of Gumede’s car was broken. Colonel Thembeka Mbele said Gumede sustained gunshot wounds to the chest and mouth and was certified dead at the scene. “The motive for the attack is unknown. A case of murder was opened at Tongaat cop shop for investigation,” said Mbele.